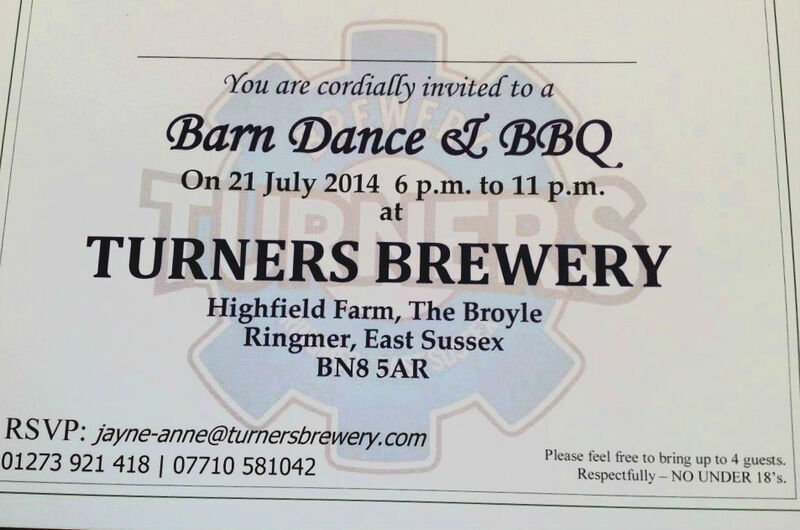 Last week I grabbed my husband & a mate and ventured across the border, from West to East Sussex in search of the home of Turners Brewery, Ringmer. 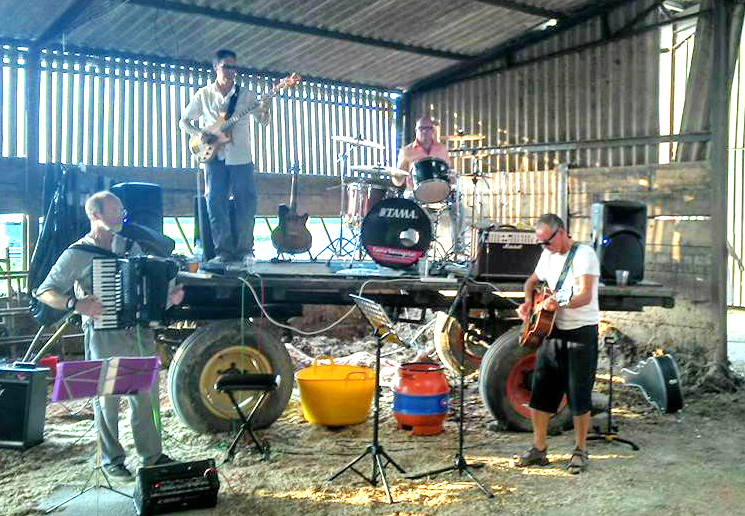 A glorious summers eve requires only a few simple pleasures to make it a memorable one- friends, music, food & beer, all of which were to be found over on Highfield Farm for the brewery BBQ and Barn-dance (although, somewhat regretfully but probably for the best, I didn’t don any cowboy boots). The Turners core range was on offer, alongside a beer exclusively brewed for one of the local pubs, and a new brew- their single hopped pale brewed with Citra, currently needing a name. This nameless new brew was a delight. The Citra was lending it’s distinctive fruity notes; peach, melon, apricot, gooseberry, lychee, all flowing delicately through, weaving ribbon-like around, and combining rather well with, a malty base that brought wholegrain bread to mind. The finish a dry grapefruit bitterness to a very more-ish, refreshing beer. Their East Sussex Bitter also caught my attention. A golden number that boasts a wonderful malt profile of caramel, fudge, toasted hazelnut and brown bread. A decent hop profile is there too, a rather summery hit of florals, grass and zesty lemon & grapefruit citrus. A delightful session brew, and a nice addition to the list of Sussex Bitters produced in the county. But it was the APA that hooked me the most. This is the beer that really had me going back for more, a beautifully crafted brew utilising the profiles of Centennial, Chinook and Pilgrim. This beer doesn’t smack you in the face, but rather lures you in, and before you know it you’re on your 4th helping. It’s all clean, slightly toffee-sweet malt, with a nutty tone playing in the background. Bouncing off of this you’ll find pithy citrus notes- orange, lemon, grapefruit, a slightly resinous quality and a bitter, peppered finish. 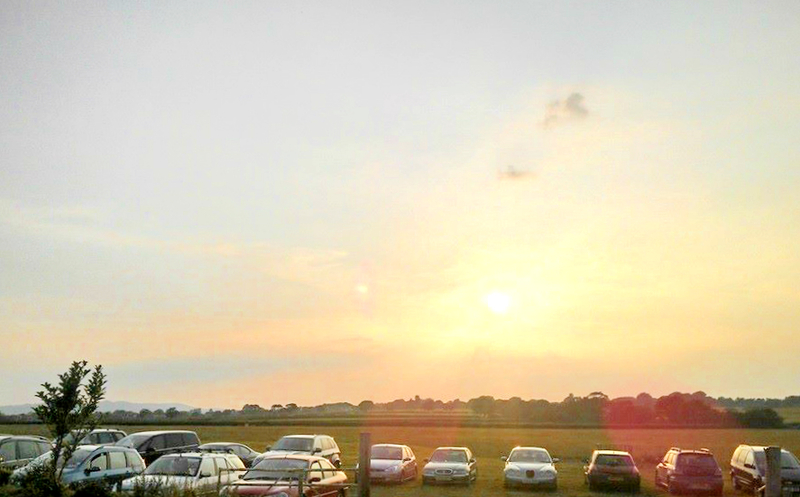 Speaking with others on the night, the views were all the same- this American Pale was tasting superb. I paired these beers with the meats on offer at the BBQ, the beef burger and minted lamb burger were amazing, well seasoned, well grilled flavour bombs made with meat from the farm. It doesn’t get much better than pairing your beer with food from the same source. There’s something almost poetic about that, what with grains being used for both products. There was something even better about sampling both meat and beer products right there on the farm too. 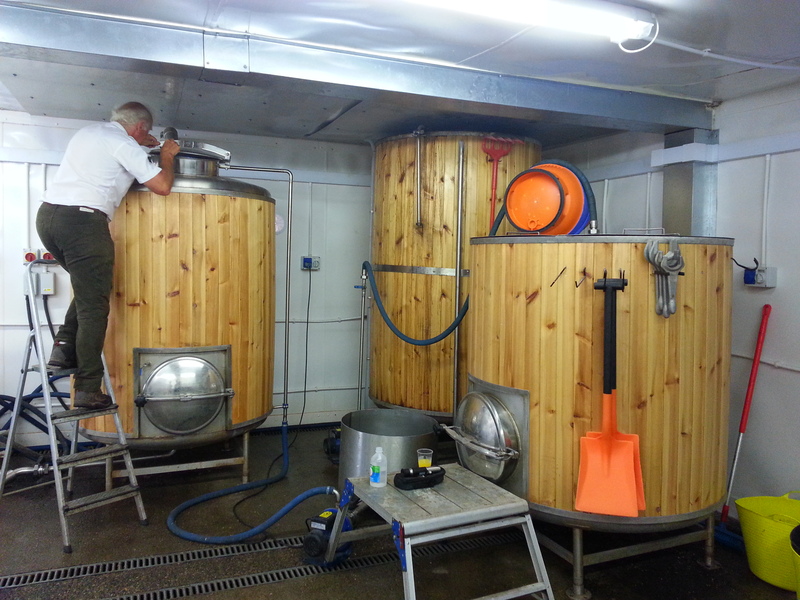 -Are you planning to follow your new Citra brew with a range of single-hopped beers? We have to be very careful on expanding from our core range of eight ales, and the Citra takes it to nine. We do invent new brews all the time, something our Master Brewer and Head Alchemist is continually doing however we must be able to secure the hops for the future, if we can’t do that then they don’t become part of the core range, but a special. Something we have engaged in, is helping landlords brew their own specific beer for their own establishments with us, so I guess yes we could expand, however these beers are only available through those establishments as that is the promise we give those landlords. -Are there any more new beers due for release this year? Yes there is but only one beer, a wonderful lager. We are trialling the recipe at present. We have had a number of our partner landlords come and blind taste it. Let’s just say we have seen a lot of taste bud happiness from them. We haven’t got a date yet as we want to perfect the brew and get our stock levels correct due to the feedback and pre-ordering we have had. We are also in discussion with a local micro scrumpy producer who takes apples from the local area and turns them into the most magnificent taste explosion. This bespoke cider producer get given apples from people’s gardens etc and make them into scrumpy. 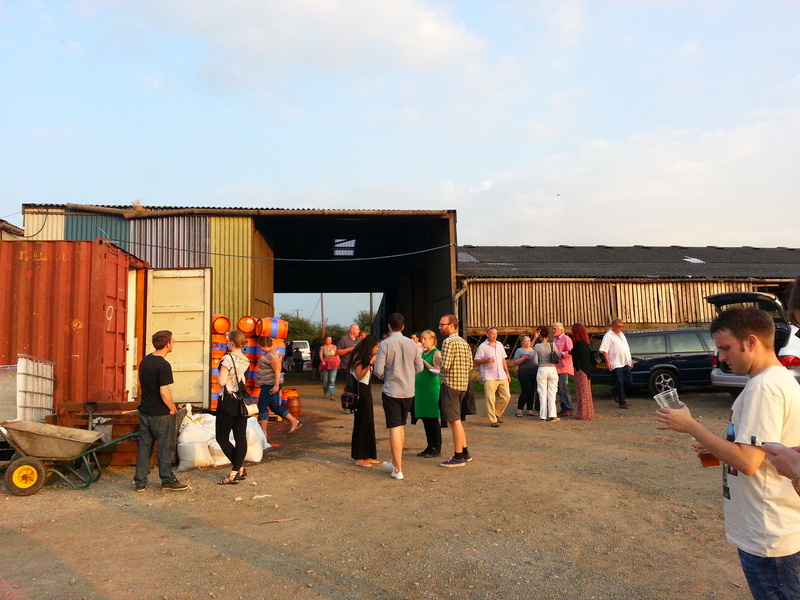 It is such a great idea, it fits completely into Turners ethos, diversification and engaging the local community. 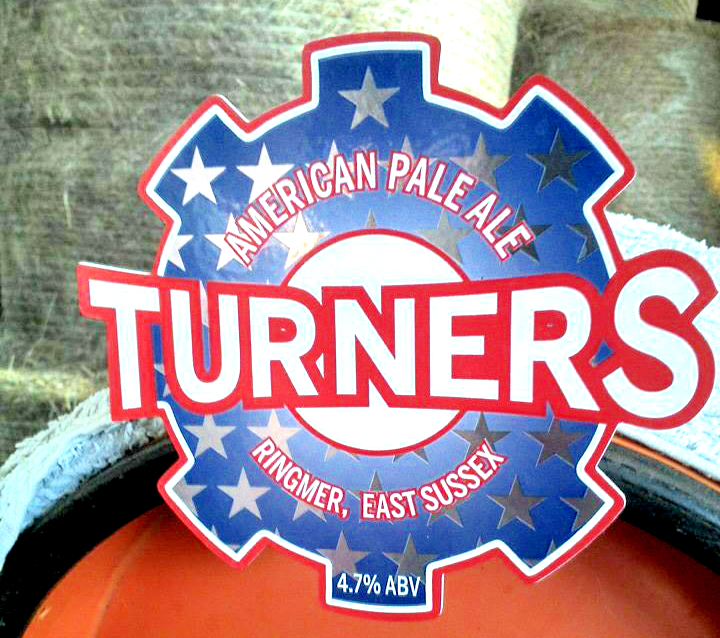 -What are your thoughts on the current Sussex beer scene? There are some great breweries out there and giving those larger ones a run for their money. We continuously hear one thing about them ‘putting the landlord into a corner and a lack of customer service’, which happily we don’t hear about ourselves, people who stock us know we are on the end of a phone 24 hrs’ish a day and we will help wherever we can, the market is hard enough without the supplier playing silly buggers. We have had problems and we admit to them but we put them right, something others are very reluctant to do. -How do you feel about the current trend for the term ‘Craft’? Is it something you are happy to be associated with? No I think we are happy to be called craft because it is a craft. We don’t cut corners, we don’t use hop pellets and we don’t use syrups. Our beers take love and we give them love, else you just get run of the mill mass produced brown fizzy water. And that’s really what Turners are all about. 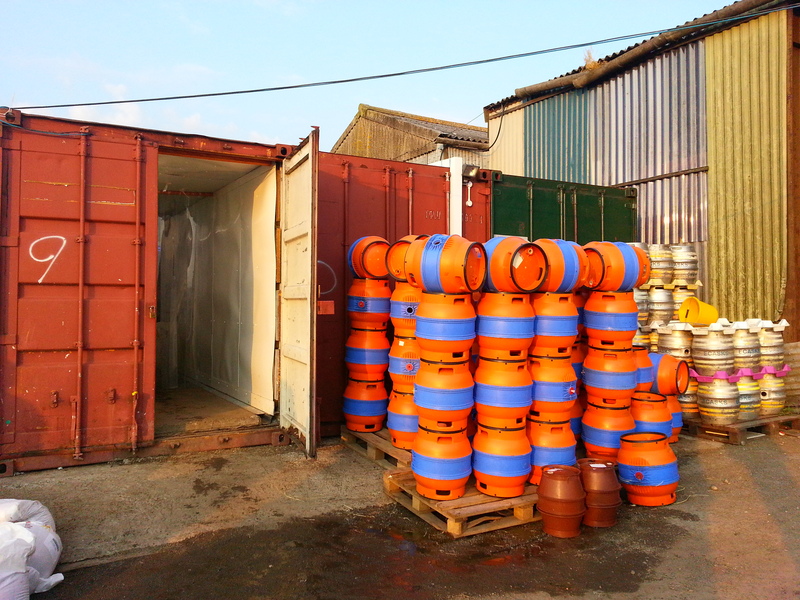 This is a 60 BBL micro brewery, tucked away inside container units and established since only 2010, on a traditional family farm. 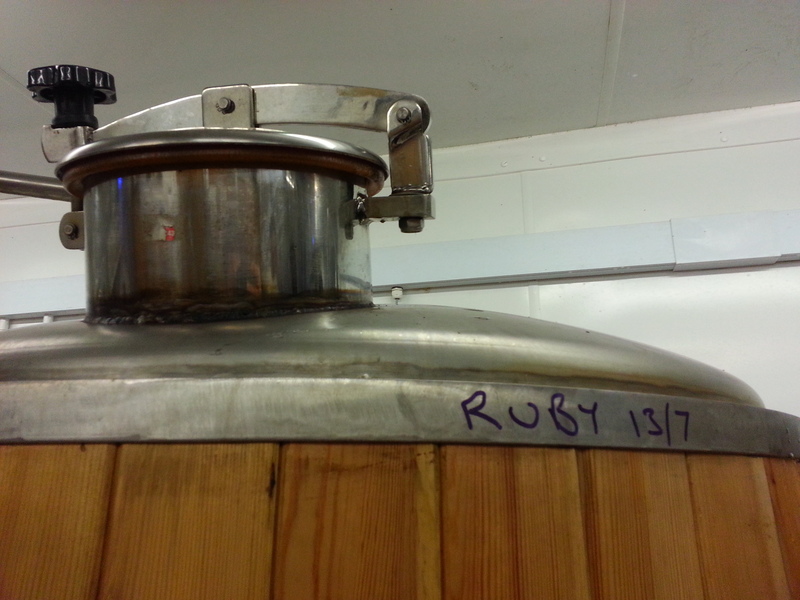 Real ale production has provided a new chapter of diversification for them. 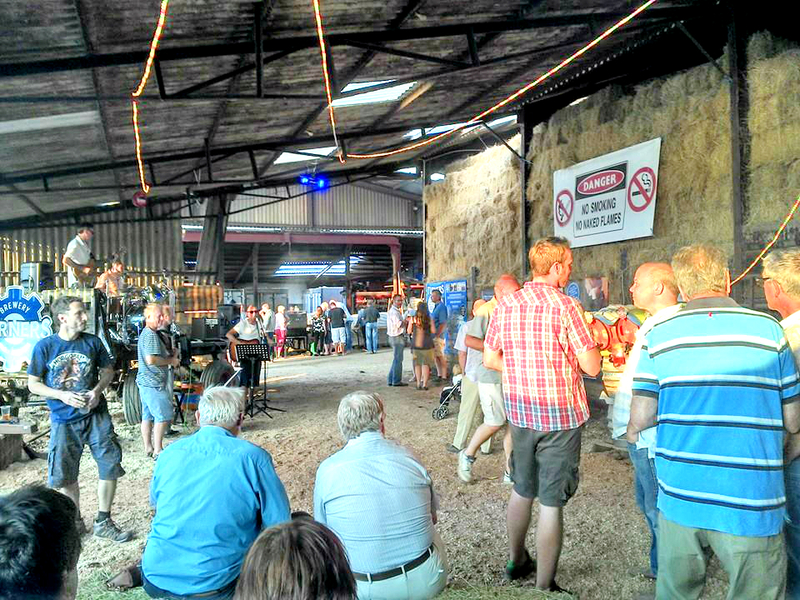 A crowd-funded smoke-house is on the way too, to serve both the meat and the beer grains, to continue with this farms diversification. Whether it’s meat or beer, the team are focused on giving back to the community, employing local people, supporting local sports teams, doing things with an honest, down-to-earth approach- it’s a refreshing ethos, and perhaps the true spirit of Craft Beer.